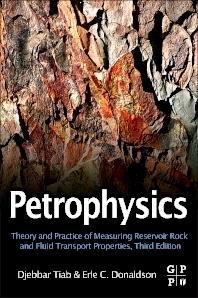 Petrophysics: Theory and Practice of Measuring Reservoir Rock and Fluid Transport Properties, Third Edition includes updated case studies, examples and experiments as well as a new chapter on modeling and simulations. It also includes recent advances in wireline logging interpretation methods, effective media models, inversion of resistivity log measurements, dipole acoustic shear and Stoneley wave techniques, Biot-Gassmann models and MRI. Erle C. Donaldson began his career as a pilot plant project manager for Signal Oil and Gas Research in Houston, Texas. Later he joined the U.S. Bureau of Mines Petroleum Research Center in Bartlesville, Oklahoma, as a project manager of subsurface disposal and industrial wastes and reservoir characterization; when the laboratory was transferred to the U.S. Department of Energy, Dr. Donaldson continued as chief of petroleum reservoir characterization. When the laboratory shifted to private industry for operations, he joined the faculty of the School of Petroleum and Geological Engineering at the University of Oklahoma as associate professor. Since retiring from the university in 1990, he has consulted for various oil companies, universities, and U.S. agencies including: the Environmental Protection Agency, the U.S. Navy Ordinance Center, King Fahd Research Institute of Saudi Arabia, and companies in the U.S., Brazil, Venezuela, Bolivia, and Thailand. Independent Engineering Consultant, Tetrahedron, Inc.